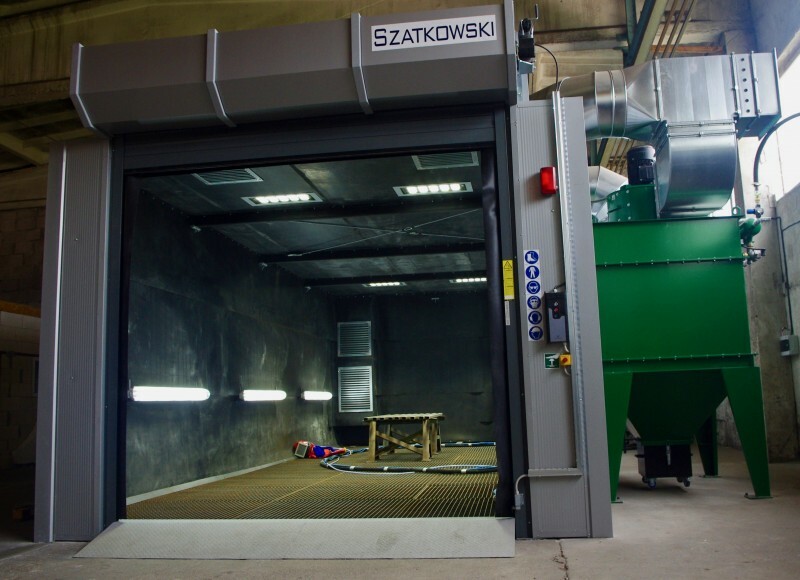 What are powder coating results? What is shot blasting – sweep blasting? 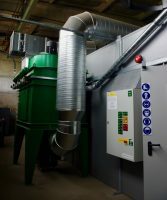 Shot blasting – sweep blasting is a very efficient way of metal processing when the surface of a metal is cleaned, strengthened (peened) or polished. At the same time various leftovers of coatings are removed, and the surface becomes somewhat matte. 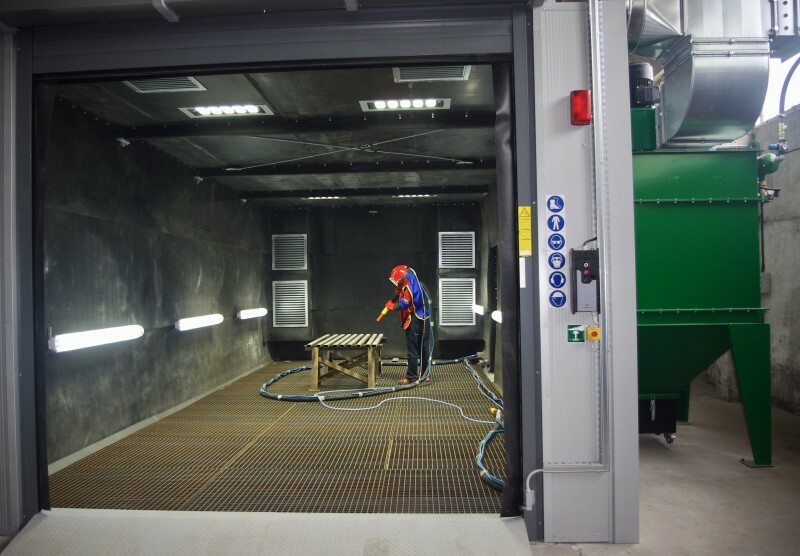 When working with shot blasting – sweep blasting, the abrasive is supplied to the air flow and directed at a high speed from the sprayer to the surface of a metal. Abrasive is being sprayed with large pressure and the surfaces in being cleaned from dirt, rust or old paint. Shot blasting is cleaning of metal surfaces using steel shots. Sweep blasting is cleaning of metal surfaces using aluminum oxide abrasive. Shot blasting is useful when aluminum oxide is unable to clean the surface of a metal properly. Your time and logistical expenses are saved since the services are provides in the same location as powder coating service. 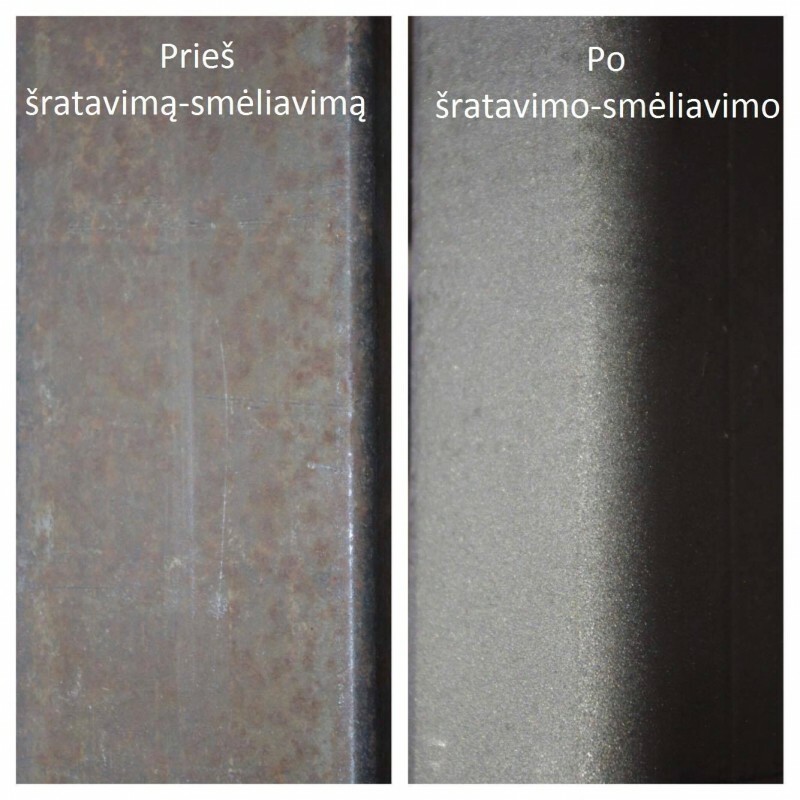 Shot blasting – sweep blasting improves the grip of powder with the surface significantly. 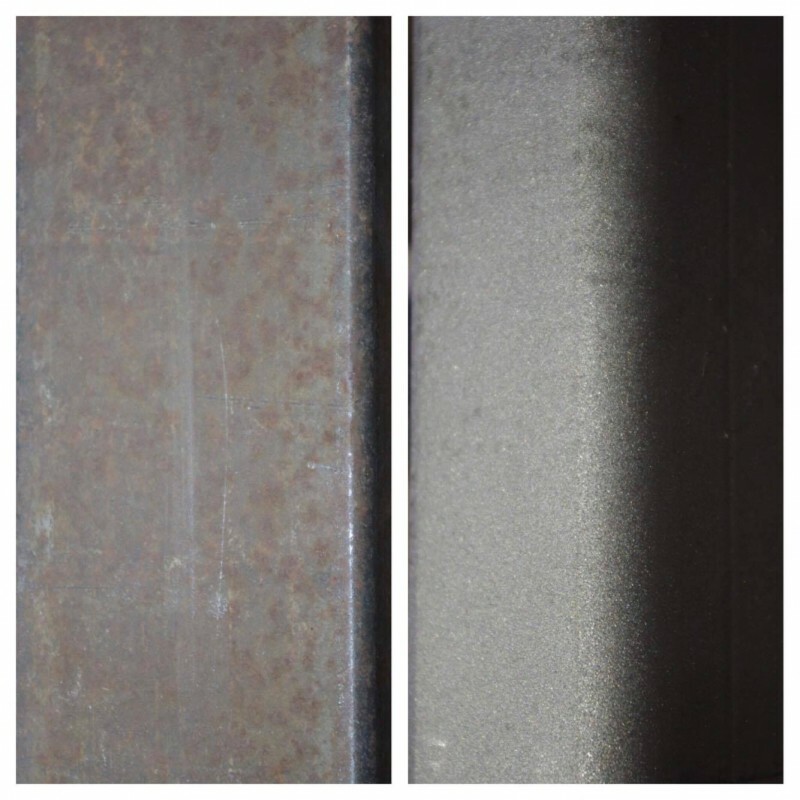 Shot blasting – sweep blasting improves anti-corrosive qualities of a powder coated metal. 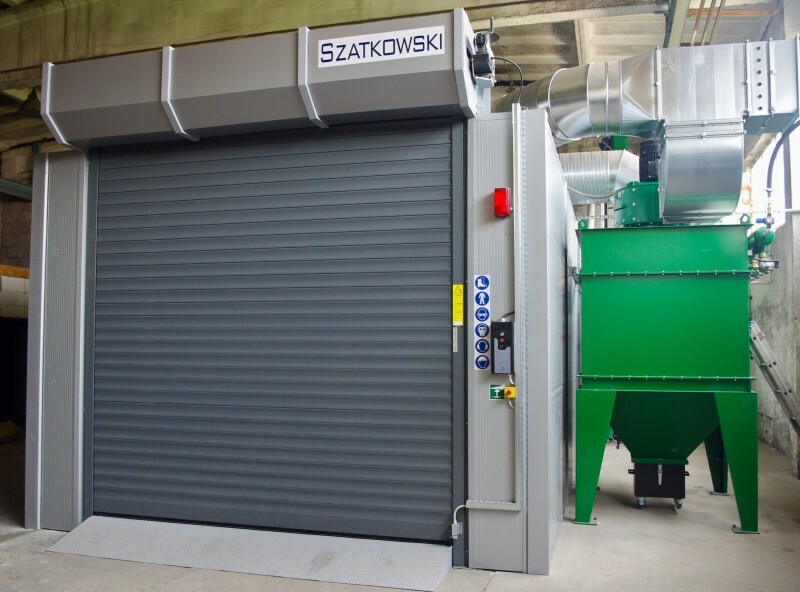 For metal cleaning (shot blasting – sweep blasting) we use the newest German made “Clemco” equipment. It meets the standards of cleanliness of Sa 1, Sa 2, Sa 2,5 ir Sa 3, according to ISO 12944-4 standard. 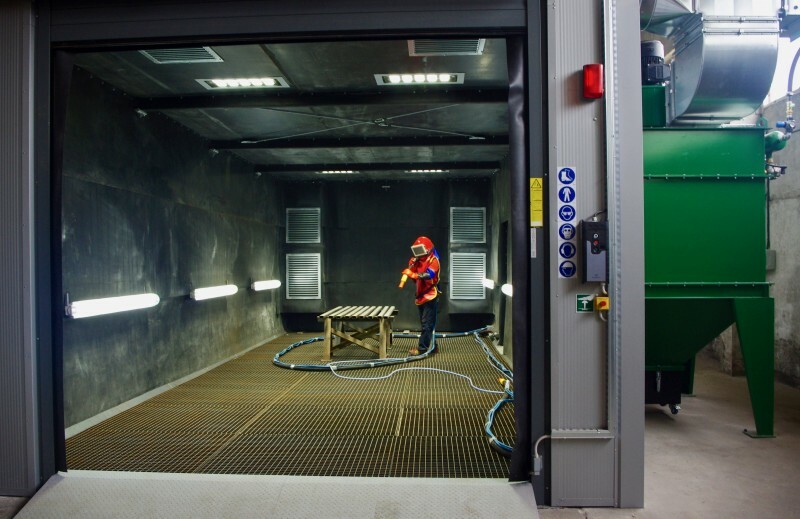 The measurements of shot blasting – sweep blasting blast room are: 9 meters length, 4 meters width and 3 meters height. 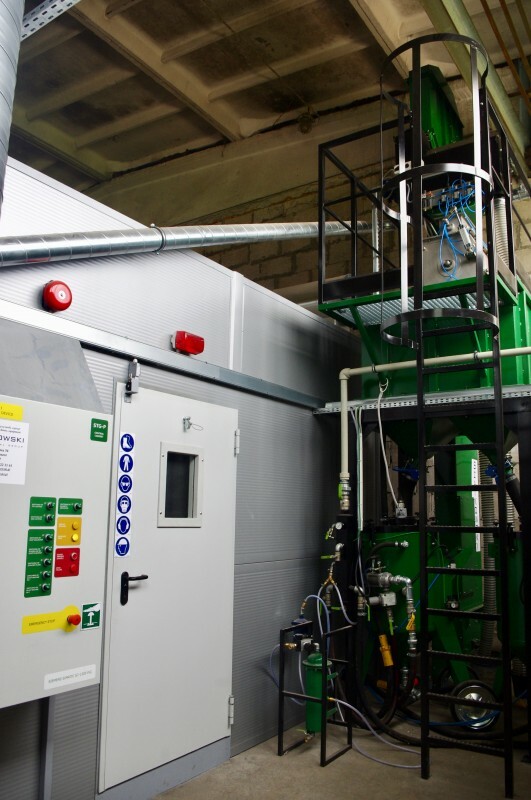 This enables us to clean metal products of large proportions as well as those of unusual sizes and shapes. 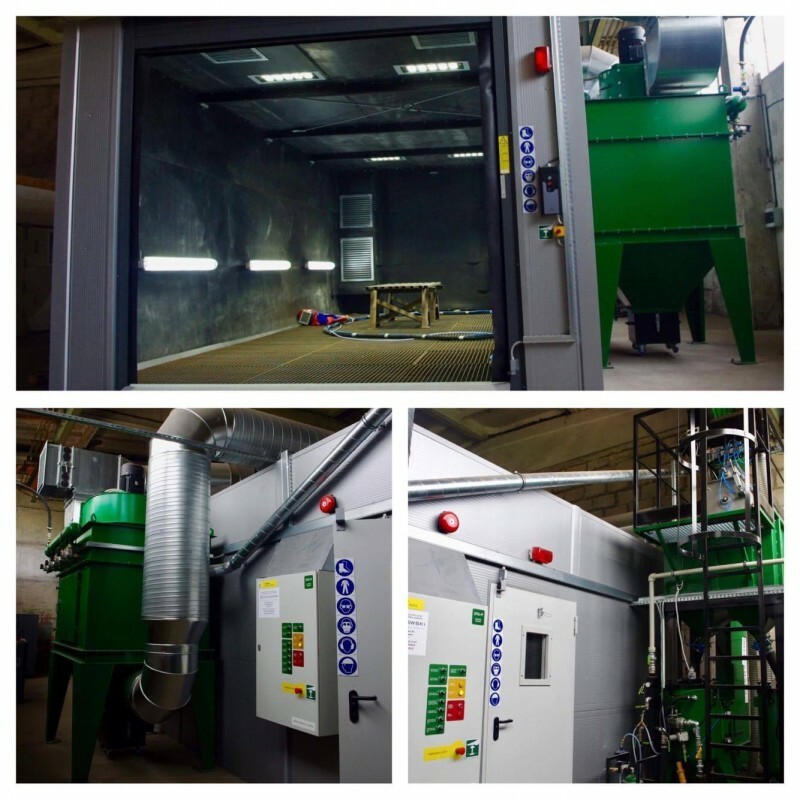 As mentioned before, for your convenience, at the moment we are the only powder coating company in Vilnius, which provides shot blasting – sweep blasting and powder coating services in a single location (Motorų str. 14, 6 building, Vilnius). Powder coating meet just about any requirement for mechanical or chemical resistance and appearence you may have. In the long run, powder coating will save you money. Powder coating is a finishing technology that gives a highly durable coating. Dry paint are applied to a grounded part. Electrostatic attraction holds powder particles on the surface until heat is added to flow the powder together and cure it. Powder coating – is an advanced finishing technology for a wide range of parts, materials and products used in various industries. During the process the surface of an item is covered with a layer of decorative and protective powder coating.